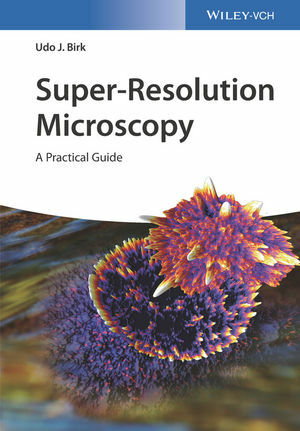 This unique book on super-resolution microscopy techniques presents comparative, in-depth analyses of the strengths and weaknesses of the individual approaches. It was written for non-experts who need to understand the principles of super-resolution or who wish to use recently commercialized instruments as well as for professionals who plan to realize novel microscopic devices. Explaining the practical requirements in terms of hardware, software and sample preparation, the book offers a wealth of hands-on tips and practical tricks to get a setup running, provides invaluable help and support for successful data acquisition and specific advice in the context of data analysis and visualization. Furthermore, it addresses a wide array of transdisciplinary fields of applications. The author begins by outlining the joint efforts that have led to achieving super-resolution microscopy combining advances in single-molecule photo-physics, fluorophore design and fluorescent labeling, instrument design and software development. The following chapters depict and compare current main standard techniques such as structured illumination microscopy, single-molecule localization, stimulated emission depletion microscopy and multi-scale imaging including light-sheet and expansion microscopy. For each individual approach the experimental setups are introduced, the imaging protocols are provided and the various applications illustrated. The book concludes with a discussion of future challenges addressing issues of routine applications and further commercialization of the available methods. High-Density Single Emitter Microscopy Methods: SOFI, 3B, SHRImP, etc.